The iconic Zanoni Mill Ranch is being offered for sale! This may be the buying opportunity of a life time! This historic ranch includes approximately 2,470 acres of some of the finest Missouri grazing land and hay meadows available. Included in this offering is a gothic 10,000 SF, 5 bedroom, 6 bath luxury home with an inside swimming pool. The Zanoni Mill Ranch home was built in 1984 and was designed to resemble the 5,900 SF Southfork Ranch home used in the CBS television series Dallas. The Southfork Ranch is located on 100 acres of land 25 miles north of Dallas. This ranch is named after the Zanoni Mill located in the Pine Creek Valley 9 miles northeast of Gainesville, Missouri just off of Highway 181. The Zanoni Mill was built with a fine overshot wheel by A. P. Morrison about 1906 at a site where milling had been an industry since the Civil War. The overshot wheel is a popular feature with photographers and artists. It is driven by water from a natural spring located just above the mill with a measured flow of from 194,000 to 226,000 gallons daily! Though milling ceased in 1951, Mr. Morrison, popularly known as "Uncle Doc," kept the mill in good repair. A.P. Morrison also built the general store that bears his name and the post office that is located just to the north of the mill. The first postmaster, George W. Shoemaker is said to have named the office for Zanoni, Virginia. Zanoni was the name of a novel by Bulwer-Lytton. The Zanoni Mill is a favorite of those taking a tour of The Mills of Ozark County. This is very unique Ozark ranch property has artesian wells, large springs, clear water streams, outcroppings of high bluffs, rolling hills pastures, lush hay fields, several wooded areas, several homes for ranch hands or guests, an historic General Store building and the original Zanoni post office, the Zanoni Grist Mill is featured in History Books Remodeled and available for wedding and other social functions. This and much more is located in the Southern Missouri Ozark Hills. This iconic ranch is a "Gem" of Ozark County, Missouri. 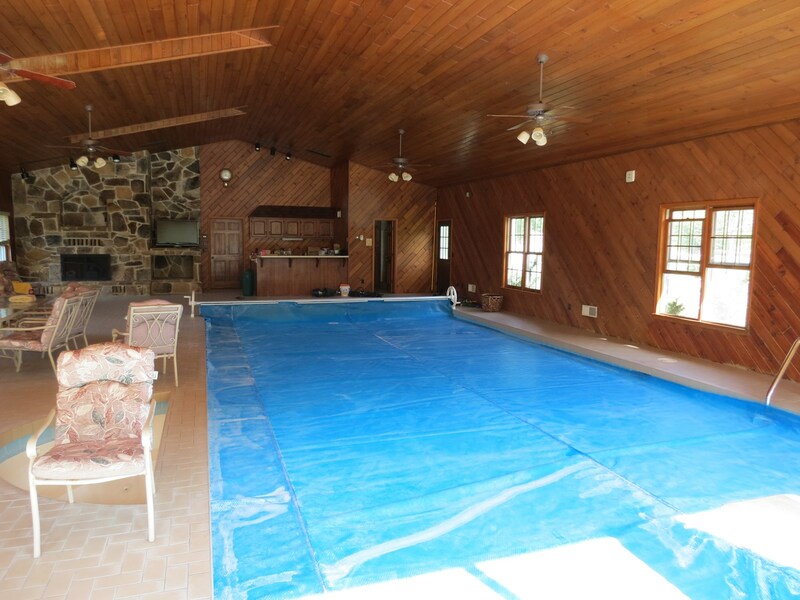 There are many other special features of this property that must be experienced. If you, your family, and ownership group, your company, corporation or organization want an iconic operational cattle and horse ranch, hunting operation or amazing lifestyle opportunity to enjoy the 4 seasons of the Ozarks, this is it. The property will be sold with water rights and mineral rights transferring to the buyer. The property will be shown by appointment. 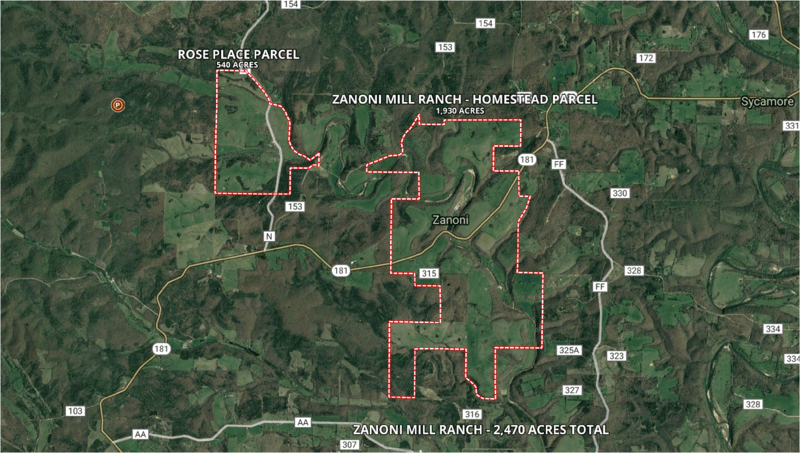 The Zanoni Mill Ranch is located 25 miles to the northeast of the upper end of Bull Shoals Lake. The area near Gainesville is well known for its many grist mills and lots of people come to the area each year to tour the mills. Click here to watch a short video of a tour of some of the mills. Other recreational opportunities in the area include the Caney Mountain Wildlife Preserve, Rockbridge Grist Mill, Dawt Mill and Bryant River Rafting. If you have an interest in history, the Ozark County Historium may be a wonderful place to visit. 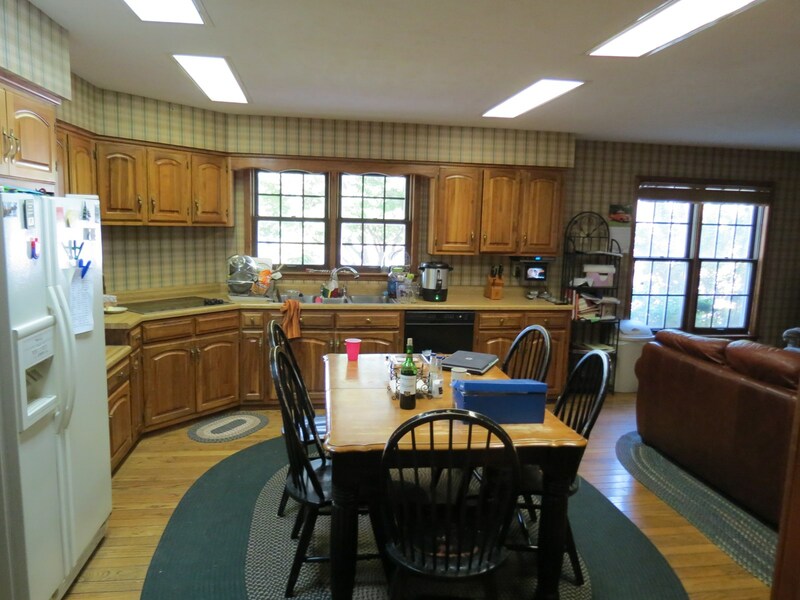 To view the property or to gain additional information, please reach out to agent Scott Campbell at our United Country Red Hills Realty & Auction, LLC office at 600 S. Central, Coldwater, Kansas 67029, by cell phone or text at 913-485-1322, by email at scampbell@ucredhills.com or view the Google searchable webpage that we have prepared for the property at www.ucredhills.com. Thanks for your interest in this property. If you know of anyone thinking of buying or selling real estate please let us know.